I always wondered where does the apostrophe 's come to mean possessive case. Like John's = Of John, car's = of car etc. 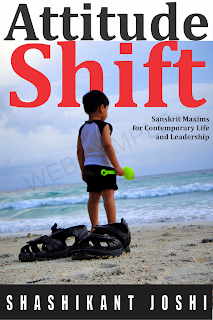 It also struck me the ShaShThI ekavachana षष्ठी एकवचन (sixth vibhakti, singular) for masculine and neuter gender end in -sya. 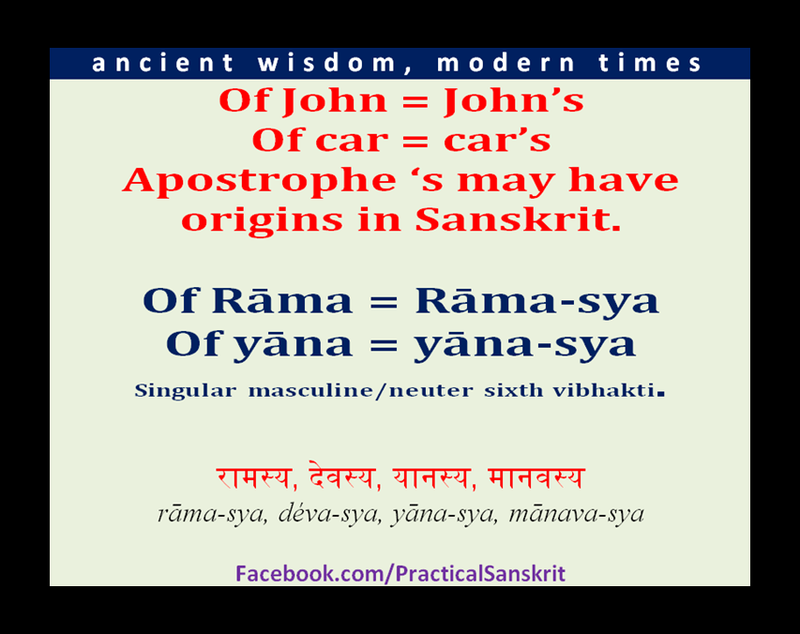 Like rAma-sya = of rAma; deva-sya = of deva etc. So I did some searching around and here is what I found. When the apostrophe mark was introduced into English in the 1500s, it was originally used to show where a letter or syllable had been omitted. And that is where the Sanskrit influence can be seen, not in 1500's but in Greek times. Thus is true. 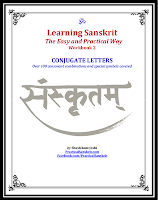 It is definitely originated from Sanskrit.